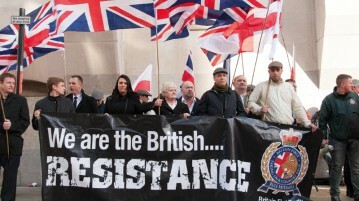 Britain First: A Reflection of Our Reality? Steve Adams takes a look at the recent popularity of the Britain First political group on social media. Steve Adams says it’s ‘high’ time we talked about drugs and gives useful information on the safety of getting high. Steve Adams looks at what needs to be done to make universities, as well as society, more equal. With many criticising Corbyn’s pacifism , Steve Adams explains where he actually stands on the matters of national security. Steve Adams argues for a more long term solution to the current refugee crisis. Steve Adams argues that society is not set up for the working class. Steve Adams looks at the media’s criminalisation and dehumanisation of the Calais migrants. Steve Adams argues for the legalisation of marijuana. Steve Adams argues that the failure of the United States in dealing with ISIS is due to their refusal to implement a long term strategy. Steve Adams shares some tips for getting fit and staying fit this summer.